219 E GARDEN PARK DR.
Join us for Wing Night! Wings are 75 cent each on Monday nights at our Madison location. Visit either location (Madison or The Bank in Clinton) for week day slice lunch specials with standard slice flavors like pepperoni and flavors that kick it up a notch, like Meateater! Visit our Madison location for $1.75 pints and $5 pitchers (most varieties on tap) on Thursday nights. OR, Get $10 growler fills - of any beers on tap - with any medium or large pizza purchase. Kids meals are also $4 on Sundays! Madison location. We are Pizza Shack. Not Chicago-style. Not New York-style. Mississippi-style pizza at it's finest. The idea of an old style pizza parlor that made real pizza pies the way they were meant to be was first discussed among three lifelong friends working in the restaurant business in late 2003. We felt that cookie cutter pizza chains had distorted the public’s perception of what a pizza pie should be and it was time to bring back the pie we ate as children. We knew that our customers would savor the freshness. With these principles in mind, we saved every penny we could for the next two years. We created new sauces. We developed our special dough. We worked on unique and special pizzas. We prepared for the day we could open our own restaurant. We developed our dream. That day finally came on March 27, 2005. Since that day, the crowds have grown almost daily. Our customers have become our family and our family continues to grow. We have won dozens of awards in USA Today, Jackson Free Press, Mississippi Magazine and several others. Our original location on State Street has moved around the corner to Fortification Street. One of our original owners, Ryan Patrick, has opened these locations in Madison and Clinton. We have become a part of the community and the community has become a part of us. We feel honored to be a part of your lives. 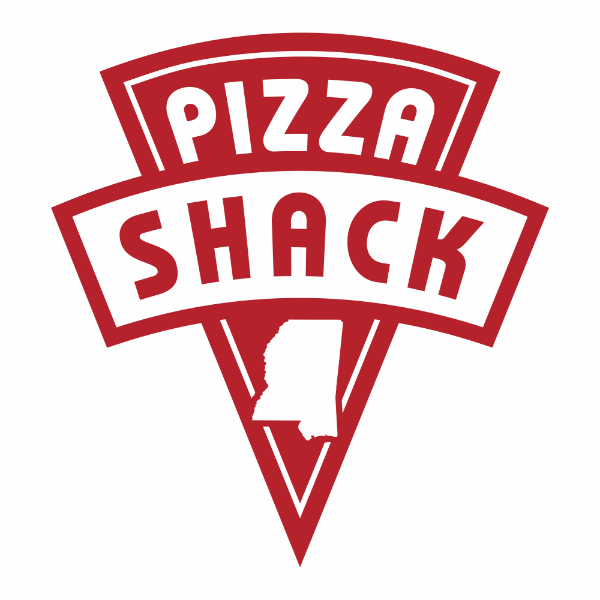 The Pizza Shack belongs to all of us in this great city, you guys are just as responsible for its success as we are. All we can say is “Thank You” for making our dreams come true! Please note there is a $150.00 minimum order for catering. 24 hour notice is appreciated but not required. Please call the desired location closest to you to place a catering order!